+2 Story: Without question, this is my favorite story in the series. It's a direct continuation of MM6 that reveals Wily's clever contingency plan and features a city under siege, a prison break, a museum break-in, and plenty of appearances by Proto Man. We meet Bass and Treble, get to know them as friends (or at least friendly rivals), and are betrayed by them. With Dr. Light's lab in ruins, Mega Man swears vengeance and almost breaks the First Rule of Robotics, which raises some interesting questions and seems to tie in slightly to the introduction to MMX. Plot and character development abound, setting a new standard for the storytelling capabilities of the series. +2 Graphics: Credit where credit is due: character designs are full of detail, backgrounds are complex and varied, animation is clean and plentiful, and stuff blows up real good. People complain about the comparatively oversized graphics, but, like the later Game Boy games especially, MM7 recalibrates the gameplay to better align with what's reasonable for this graphical style. The graphics themselves aren't really the problem; it's the break from tradition, plus the expectations set by MMX of what an SNES Mega Man game should look like, that have caused MM7 so much grief. +1 Music: Bravo for continuity—like MM2, the intro theme here is an adaptation of the ending theme from the previous game. Though many of the tunes may not be as catchy as the melodies of yore, the soundtrack employs a variety of styles and maintains an upbeat core throughout even the most serious tracks. However, the music does border on a little too goofy or chipper at times (Auto's theme and Spring Man's stage, pardon the pun, spring to mind), and I think the instrument set is partially to blame—if it weren't for the sheer difficulty of the battle, it might be tough to take Wily at all seriously with a digitized cat warbling out the final boss theme, for example. Don't get me wrong: I love that warbling digitized cat. And the ending theme in this game is tied with MM5's for my favorite in the entire series. And the first Wily fortress theme is succulently dark and foreboding. But I think the instrument set holds parts of this soundtrack back from being as great as they could be. +1 Sound Effects: The rippling coo of Noise Crush, enemy explosions that sound like they're a bubble being popped, the "boing" and "poing" of pretty much everything in Spring Man's stage...the sound effects are as distinctive as ever, and a little more playful than usual, going along with the feel of the music and graphics. I prefer my sound effects a bit heartier, but the light-and-fluffy approach works well with the game's overall aesthetic. +0 Control: If you've grown accustomed to the NES Mega Man games, Mega Man might feel a little sluggish and floaty in this installment, but the movement controls are as responsive as ever. The shop is seriously clunky, however—between all the dialogue you need to skip through on subsequent visits, and the backward way the buttons are mapped, you'll probably end up accidentally leaving the shop or nearly buying things you don't want more often than not. Mega Man also gets a little awkward to control when using the Proto Shield; I'm sure it's a deliberate design choice that you can't go from standing still and firing to running and firing without letting go of the fire button for a moment, but it makes regular movement surprisingly tricky. There's also an inconsistent delay with some of the special weapons—it's normal to wait for your projectile(s) to clear the screen before firing another one, but there's sometimes an extra split-second wait that's caused me to smack into an enemy as I'm frantically mashing the attack button. It's odd, too, that it takes a moment for most weapons to deploy after hitting the fire button, and it's disconcerting for the Mega Buster to take so long to charge (and to not give much indication that it's starting to charge). The new MMX-style password screen is pretty intuitive, though, and easy to handle. On its own merits, MM7's control is perfectly adequate with a few nitpicky hiccups, but there's a definite decrease in precision from the NES games. +1 Stages: MM7 brings back some classic enemies for a fun nostalgia kick—Properide, Driver Cannon, Sniper Joe 01, DeluPipi, Petaforth, Kerone, Gobots, Turbo Roader, and Count Bomb NEO are some of the many foes adapted from MM1-6. It's interesting to see the new challenges that can be created by intermixing enemies from all across Mega Man's career, much like in the Game Boy games. It's not all about the enemies, though; rising and falling tides, interactive weather patterns, machines that can be powered up with a special weapon, a maze of fire jets firing off in sequence, and platforms that cut the lights when you stand on them contribute to the overall challenge. The difficulty and quality of the challenges aren't entirely consistent—there's a blend of ho-hum scuffles, decently tricky platforming, devastating hazards, and gonzo boss fights, with no real flow from one type to the next. The end result is that the stages are somewhat forgettable, with a number of memorable moments characterizing the game as a whole (for better or for worse)—the interesting battle against VAN Pookin, bouncing aimlessly in the open area of Spring Man's stage, the ugly clustermug of flame pillars in Turbo Man's stage, the eerie drawbridge entrance to Wily 1, and so on. There's an emphasis on special weapon use (both obvious and subtle), so the stages can seem needlessly tedious and frustrating until you put away the Mega Buster and try new things. +0 Bosses: Unique bosses require all manner of different tactics to survive—quick reflexes, pattern recognition, pressing the offensive, playing defensively, paying attention to your surroundings, creative weapon use...it's all here. I'm pretty evenly split on the Robot Masters—I love the first four, and reeeeally wouldn't mind some replacements for the next four. On the plus side, everyone is visually distinctive, and character designs are different not only from each other, but from most of the Robot Masters who've appeared so far...though not so different that they're unrecognizable as Wily's creations. On the minus side, some of their special attacks can be downright obnoxious—Spring Man slamming you into the ceiling, Shade Man siphoning your health, Turbo Man lighting you on fire, everything that Slash Man does—and not just obnoxious, but frequent, and usually difficult to dodge. Despite that, I love the complexity of the battles, especially for the first batch of bosses; there are so many types of projectiles, so many attack patterns, and so many special attacks that battles are never dull. The bosses could cut back on things falling from the ceiling, though. I also like that using the right special weapon can not only do extra damage, but change the boss's attack pattern altogether. There's a sort of similar split for me among the fortress bosses: half of 'em I like, half of 'em I could do without. I love that the Bass battles throw some interesting architecture into the mix. The first scrap with Bass is intense and satisfying (and Noise Crush gets a chance to shine, which makes me even happier), but the second one would probably be better in a horizontal arena; a vertical arena lends itself to a lot of unproductive maneuvering and blindly running into painful things. It feels like you should fight Bass with Super Adaptor, but the fight is disappointingly inelegant that way. Guts Man G takes a page from Spring Man and obnoxiously slams you into the ceiling, and it's a little boring to mostly just stay in place and shoot him in the head (though I appreciate the variety added by an unconventional battle like this). Gamerizer is fun in concept, but there's that obnoxious burning like in the Turbo Man fight, and practically any special weapon takes all the challenge out of the mini-turtles. The unpronounceable boss of the third stage is refreshingly novel and tricky, keeping you constantly in motion while you practice your platforming and sharpshooting skills. Wily's first form is fine, but boring; you have to keep waiting for a window to open (literally) when you can hit him, and it's more the player's impatience than the battle itself that makes the challenge difficult. Wily's second form is probably my favorite final boss in the series; it's pure insanity, but there are tricks to making it manageable, and you earn that victory. The bonus battle with Proto Man is one of my favorites in the series; not only are you about evenly matched, but there's an emotional stake in proving you're the superior model. +0 Special Weapons: All the weapons you really need are acquired in the first half of the game; the rest are useful enough, but strangely redundant. Thunder Bolt does great damage to many tough-to-destroy enemies, momentarily illuminates dark rooms, and can activate certain machines. Junk Shield is useless against projectiles but holds up very well against an onslaught of enemies. Freeze Cracker is a little weak, and its splash damage is an incidental nicety in most cases, but its multidirectionality and freezing capability are invaluable. It's amusing to encase enemies in Danger Wrap and push them toward other enemies, and being able to lay mines and control the direction of your shots to a certain degree all make this a rather versatile weapon. Scorch Wheel lights torches, torches forests, and can be held briefly to form a barrier before launching across the ground at high speed, but there's not much offensive/defensive use for it when you've got Junk Shield. Slash Claw's extremely short range makes it a liability against most foes (especially when Junk Shield has about the same range and offers more protection), but it does pack a punch. Wild Coil is a little too wild to be used effectively in most situations, and it's often outclassed by other weapons in terms of speed, reach, and damage output. Noise Crush would have been a great addition to MM1-3 or 9-10, but aside from bouncing off walls (which is fun, but rarely helpful) and temporarily incapacitating one of the enemies in Turbo Man's stage, there's very little that the Mega Buster can't do just as well—save for charging up almost instantaneously, which is a selling point for Noise Crush but a poor reflection on the charging speed of the Mega Buster. It's interesting to see what effect (aside from pure damage) your weapons have on bosses, regular enemies, and the environment, but too many of these feel like the quirky side weapons that you never quite figured out how to use in the previous games. +2 Items/Upgrades/Support Utilities: Reducing the number of E-Tanks you can carry back to four was probably a wise decision following MM6, but the final boss in particular is intimidating, to say the least, with that few in reserve. Still, the game as a whole gives you plenty to work with. The Super Adaptor takes both of the Rush utilities from MM6 and combines them into a tactical powerhouse, and the upgrade that adds a homing capability to and increases the range of your fist is wonderful. Rush Search can dig up everything from a fun-but-useless Game Boy to random little (and ridiculously oversized) power-ups to a few permanent upgrades. The Energy Balancer is back, along with Rush Jet. Beat is back, too, though in a new role as a one-bird rescue squad when Mega Man falls into a pit. I still prefer the deadly attack bird of MM5, m'self, but protection from pits is nothing to turn your nose up at. New to the roster are W-Tanks, which refill your weapon energy; S-Tanks (which, for all intents and purposes, are M-Tanks minus the secret 1-Up trick); bolts of various sizes, which are used as currency in the brand-new shop; Auto's Hyperbolt, which unlocks more and cheaper items in the shop; the MMX-inspired Exit utility, which is handy when you're returning to stages just to stock up on bolts or claim an item you missed; and the Proto Shield, which doesn't control quite well enough for regular use, but is amazing in a few particular situations (fighting Sniper Joes and getting cornered by Slash Man come to mind). The sheer number of items, upgrades, and utilities available in this game is good enough, but the fact that they're all useful makes them even better. +2 Ending: Mega Man goes ballistic, asserts that he is MORE THAN A ROBOT, and Treble (Treble!) swoops in to rescue Wily just moments before a charge shot remodels his face. Bass teleports in to taunt Mega Man, and they both escape as the castle comes crumbling down around them. THEN THE CASTLE EXPLODES. With a glorious raging fire in the background, Mega Man starts his jaded march back home. Roll credits. Beautiful setup for a sequel, fantastic music, and a satisfying coda to one of the toughest boss battles in the entire Classic series. +1 Replay Value: Breaking the robot masters into two groups of four is devastating to the game's replay value—the 40,320 different boss orders you can normally choose in a Mega Man game drops to an insignificant 576. Fortunately, there's a cheat code that opens up all eight bosses from the get-go, but it becomes obvious fairly quickly that the later stages weren't really intended to be played without the weapons from the first batch of bosses, and you don't get to play the intro and midway stages (which means you miss half the plot of the game, too). A couple branching paths and the wealth of upgrades and items to find are the replay value's saving graces...and let's not forget the hidden Versus Mode. +1 Polish: The dialogue is notably rough around the edges, from both a proofreading and technical standpoint. One notable grammatical error ("I gonna do...") kinda wrecks the seriousness of the final scene, for instance, and the ability to manually advance and even speed through lines of dialogue is completely inconsistent. Otherwise, everything is in good order: Rush, realistically, can actually be hurt by enemies; Mega Man and Rush have a good range of idle animations; Mega Man's blaster shots, realistically, scatter a slight bit when you fire while running; Beat gets exasperated when he's dragging your weight for too long... The little things add a great deal of charm to the game. +2 Extras/Easter Eggs: As previously mentioned, MM7 has a secret password to let you pick all eight bosses at the beginning, plus a hidden Versus Mode where you can duel against another human player as Mega Man or Bass. The former is (arguably) something that should've been there all along, and the latter is more like a demo than a fully developed game mode, but they're both meaningful additions to the game. The numerous cameos, references, and homages to other Mega Man games is worth recognizing as well—in addition to all the familiar enemies, you'll be mocked by obscure side character Reggae when you input an incorrect password, the old-timey photograph taken at the end of the credits hearkens back to the ending of MM4, and the entire Robot Museum midway stage is chock-full of audio and visual reminders of the previous games. Top it off with Freeze Man's revenge when you try to turn his weapon against him, and some fun off-label uses for Noise Crush—including a tricky glitch where you can defeat a robot master in one hit if you time it right—and you've got a great assortment of bonus goodies. If you're playing the Japanese version of the game, you'll even enjoy different "Weapon Get!" dialogue from Roll and Auto, which are delightfully amusing. +1 Novelty: Nostalgia comes at a price: There's no denying we've already seen a lot of what this game has to offer, in some form or another. Still, there's a lot we haven't seen, especially where the bosses, minibosses, and special weapons are concerned—even the color schemes used by the special weapons are generally different than usual. Bass, Treble, and Auto are fine additions to the Mega Man pantheon, and both Beat and Flip-Top/Eddie have taken on new roles. All this dialogue is a new development, too...and I hate to say it, but it's pretty novel anymore to not have a stunning plot twist where it's revealed that Dr. Wily is, in fact, the bad guy. -2 Story: I've got no problem with animated cutscenes. I do have a problem with a story that (a) relies heavily on unexplained plot devices and (b) has absolutely nothing to do with anything. Mega Man was this close to murdering Dr. Wily at the end of the last game because of Bass' betrayal...and all of a sudden it's sunshine and kittens again when talking to Bass and Wily. Furthermore, the entire game is based around the premise that evil = bad. Evil Energy! Well, that must be bad. Why is it bad!? Because it's evil! Duo gives this bogus explanation that the world is in trouble because Evil Energy "absorbs the evil in a person's mind and then multiplies"...but...what does that even mean? Wily's schemes haven't gotten any more dastardly; the robot masters are absolutely no different than any other robot masters you've ever fought; Bass and Treble have this big transformation from the Evil Energy, but nothing other than the reddish glow makes him any more evil than before; Mega Man passes out because he's been affected by Evil Energy, but why would he faint if there's little or no evil in his mind to overwhelm him?! More questions arise: Where did this Evil Energy come from? Duo's sole purpose is to destroy Evil Energy—who gave him that mission? Who was that other robot that Duo was fighting in the beginning? I'm telling ya, Wily disguising himself with sunglasses is starting to look pretty awesome by comparison. +0 Graphics: MM8 officially crosses the line between excellent detail and excessive detail—there's simply too much going on, both in the foreground and in the background, and it takes the focus away from the gameplay. There is an overabundance of moving parts and flashing lights...and it doesn't help that the power-ups have been redesigned so they're barely recognizable, and occasionally blend in with the background when they're not supposed to. Explosions and weapon collisions are especially distracting; the previous games' clear visual feedback of what does and doesn't work tends to get lost in the frilly special effects. I'm also not keen on the gangly, rubbery, highly stylized look of Mega Man and Proto Man; MM7 just made the NES sprites bigger and gave them 16-bit detail, but MM8 changes the art direction altogether—and while that works with the cartoony feel the game is going for, it strays too far away from being a cartoony rendition of Mega Man and more closely resembles a cartoon that happens to feature Mega Man. At the very least, the graphics don't follow the established progression of "like the last game, but with a little more detail" that's been followed by basically every other game in the franchise. The graphics are detailed, and there's a very professional and consistent art style (and the animated cutscenes look just fine), but methinks they went a bit too far with the detail and style. +1 Music: The tunes here are varied, and fit the situations quite well. Ranging from understated and atmospheric to melodramatically heroic to bouncy and ridiculous, the soundtrack covers a lot of ground, yet still manages to retain that energetic core. There's also a deliberate attempt to weave in a few of the same melodies throughout the game where appropriate (for example, Duo's theme), and I'm fairly certain I hear a small tribute to the "Weapon Get!" music from MM3 in Sword Man's theme. If it were only a matter of the music heard during gameplay, this category might get full marks; however, the music that plays during the cutscenes has an altogether different style—fitting for the Generic Saturday Morning Cartoon feel the cutscenes are going for, perhaps, but almost entirely forgettable. -1 Sound Effects: In general, the sound effects serve their purpose and fit with the cartoony feel of the game; nothing stands out as particularly better or worse than what we're accustomed to hearing (aside from Proto Man's whistle, which pales in comparison to its previous appearances). The voice acting, on the other hand...even refraining from comparisons to the '90s Ruby-Spears cartoon show (which, in my mind, is exactly how all these characters should sound), MM8 suffers from a woeful combination of poor casting (Dr. Light's speech patterns make everyone giggle, if not burst out guffawing—apologies to the voice actor for the collective insensitivity of the Mega Man fanbase—and Mega Man is played by a girl), poor direction/editing (Dr. Light blatantly trips over at least one of his lines and nobody bothered to re-record it), flat performances, and FOR THE LOVE OF DIVE MISSILE STOP SCREAMING ALREADY THAT IS THE WORST SOUND IN VIDEO GAME HISTORY. Roll and Wily do okay, and the Robot Masters, at least, are amusing with their little voice-acted quips, which help build a fun sense of personality—I'll bet you'll make a popsicle out of me, Frost Man. +0 Control: In general, everything works pretty well, including (thankfully) the shop screen...until you get to the inventory screen. Out-clunking even MM3, the menu takes a tediously long time to open and close, and navigating the menu is a needlessly inconsistent mix of pressing buttons to activate some things and simply moving the cursor to activate other things. An odd addition is the ability to swim; the controls for that are intuitive enough, but they lack the kind of precision Mega Man is typically known for. Controls also seem to get a little less responsive, specifically the jumping, during the sledding sections. -1 Stages: The challenges themselves aren't inherently bad, but they don't always feel like they belong in a Mega Man game, either. There's a lot of run-and-gun action where you're blasting things, but not doing any real platforming; there are vaguely Gradius / R-Type / Something Completely Unlike Mega Man-inspired autoscrolling shooter sections; there are sledding sections (akin to the Ride Chaser sections of X4 and X5) where you must JUMP JUMP and SLIDE SLIDE past obstacles at high speed; there rooms where you must solve puzzles with your special weapons; there are confusing, endlessly looping mazes; and, on rare occasion, there are stages that actually resemble the last seven games. The game doesn't flow smoothly from one type of challenge to another; major portions of nearly every stage are centered around a single gimmick that could be fun in moderation, but often drag on too long, and then it's off to something completely unrelated. The boss battles are generally like this as well; complex special attacks and limited windows of vulnerability have all but replaced the standard "fire projectiles, move according to some sort of pattern, maybe do something wacky sometimes" model of the previous games. As a standalone game, or as an eventual evolution of the series, the challenges here might be more acceptable; as it stands, the gameplay of MM8 doesn't feel at all like a logical follow-up to MM7. The learning curve needs to be massively streamlined in a couple places, and stages go on way too long. +0 Bosses: Synthesizing what I've said about them in the categories above, the Robot Masters in MM8 have a lot of personality, spend far too much time throwing complex special attacks at you, and are too visually detailed for their own good. As far as specifics go, it's all a balancing act—overall, I like the bosses in this game as much as I despise them, both for their character and attack patterns. My respect for the honorable Sword Man evens out my unbridled loathing for Clown Man. My annoyance at the cocky Tengu Man (and at an air enemy being weak to a land-based weapon) is countered by the charming simplicity and zeal of Grenade Man. Astro Man's obnoxious tendencies are mitigated by Frost Man's lovable oafishness. The straighftorward fight with Aqua Man makes up for the battle with Search Man, which would be more suitable for Mega Man X to handle. But, man, is it hard not to give this game negative points just for Clown Man. I have similarly split feelings about the fortress bosses. I like the concept of a Mega Ball-centric boss fight, but the game doesn't give you enough encouragement to practice your Mega Ball skills before that point, so the boss comes off as annoying if you haven't mastered an otherwise nonessential skill. I'm fond enough of space shooters that I very much enjoy the Bliking fight, which is also a great place to bust out the special weapons. Bass and the Green Devil are somewhat forgettable; they're visually interesting, but their attack patterns aren't particularly novel. Wily Machine is reminiscent of the final boss of Dr. Wily's Revenge, which I'm not that fond of; Wily Capsule is challenging because of its random attacks and tendency to hover out of reach, but it's ultimately a little dull—we've done this fight so many games in a row, and any boss like this is going to feel underwhelming after the insanity of MM7. +1 Special Weapons: Like with MM7, the weapons in this game can interact with the environment in interesting ways (often to reveal or reach hidden bolts). Flash Bomb and Tornado Hold are my favorites of the bunch; they apply constant damage to enemies (making them great against the multitude of minibosses), and the latter works as a decent substitute for Rush Coil. After that is Astro Crush; the energy cost is high, but you can't argue with a moment of personal invulnerability and massive damage to all enemies. Ice Wave is something like Water Wave mixed with Search Snake and Ice Slasher, which can come in handy; Homing Sniper's tracking ability is admirable, but its damage output is never as high as I want it to be. Flame Sword and Thunder Claw do nicely in a support role, but you're better off with basically anything else if you want to hit anybody without risking undue damage to yourself. Lastly, there's Water Balloon, whose downward arc and theoretically infinite on-screen projectile limit are all but useless compared with your alternatives. There's very little redundancy and a weapon for every situation, though you can easily get by without using half of these (especially with the right Mega Buster upgrades). +1 Items/Upgrades/Support Utilities: This one's tough. Bolts are back, but in a different capacity—they're one-time pickups instead of random drops. The upgrades you can buy from the shop make a huge impact on the game, and they affect everything from movement to firepower to extra lives. Some are clearly a better use of your bolts than others, but every one of them potentially makes the game easier and more fun, particularly when you start combining complimentary abilities. The Rush utilities, though...limiting their use to once per stage, and putting a timer on half of them, is not so cool. Weak projectiles and awkward (albeit speedy) maneuverability make Rush Bike a questionable addition to begin with, but the level designs make the utility all but completely impractical. Dropping a random power-up is Flip Top/Eddie's job (and, with one use per stage, should never be one of the dinky little power-ups), and dropping a whole bunch of 'em from the sky would be great if they didn't get stuck on the ceiling, and if you could save some of that ability for later once you're maxed out. Dropping missiles can be helpful in one or two spots, but you're usually better off relying on your special weapons instead. Fortunately, the power-ups during the flying section in Tengu Man's stage are varied and useful (and give the otherwise absent support characters something to do), and the Mega Ball is odd, but strangely useful once you get the hang of it. -1 Ending: Wily begs for mercy, and then a burst of Evil Energy comes out of nowhere and knocks Mega Man out. Suddenly, Mega Man—who fell unconscious in front of Dr. Wily, in the heart of Dr. Wily's underground tower, completely defenseless, with nobody around to help him—is now lying outside, above ground, in the middle of nowhere. Duo and Proto Man come rushing across the horizon, so obviously neither of them rescued Mega Man from Dr. Wily, and it doesn't look like anybody back at Dr. Light's lab was responsible...PLOT HOLE! And don't tell me Dr. Wily had a change of heart and kindly deposited Mega Man outside. This is followed up with some melodrama as Duo draws out the Evil Energy and says farewell via Proto Man—complete with Proto Man acting uncharacteristically worried about, well, anything. It's not unwatchable, but it's all very contrived. On the plus side, the end credits feature some fun robot master concept art submitted by fans, so that's cute. +0 Replay Value: Like in MM7, the robot masters are broken into two groups of four, but this time there's no code to make them all accessible from the get-go. Partially compensating for this are the hidden bolts in each stage, and the sheer variety of upgrades you can purchase with your bolts—and considering there are more upgrades to buy than there are bolts to pay for them, it'll take at least two or three playthroughs before you've even tried them all out. There are some branching paths and some large areas offering a couple routes through them, but if you're going after all the bolts, you'll see pretty much everything in a single playthrough anyhow. That's more or less it, unless you count switching between the PS1 and Saturn versions as replay value. +1 Polish: While the core game is pretty tidy in both the PS1 and Saturn versions, it's the differences between versions where the technical polish takes a hit. There are noticeable variations in sound and cutscene quality, loading time differences, and little touches (such as flashing lights in the midstage where you fight Duo) that are added or omitted from one version to the next. That being said, neither one is really the "definitive" MM8—the PS1 has the technically superior game, but the Saturn has the one with more character. I do like that the game celebrates the Blue Bomber's tenth anniversary with plenty of references to previous games: you can see the remains of the Mecha Dragon from MM2 in the background of the intro stage; one section of Clown Man's stage is decorated with toy versions of many familiar enemies; the Mega Ball evokes memories of Mega Man Soccer; and the opening cinematic is a love letter to the series. I'm also glad that Auto, Eddie, and Beat get a chance to shine in Tengu Man's stage; they so easily could have been forgotten with so much else going on. +1 Extras/Easter Eggs: The inclusion of Cut Man and Wood Man as optional miniboss fights in the Saturn version is a fun throwback, as are the less-obvious (and therefore somewhat secret and Easter Eggy) references mentioned above. The Saturn's Bonus Mode, while not overwhelming, offers an art gallery and audio/FMV tests. When you take into consideration all the version differences—not just between the Saturn and PS1 versions, but between the North American and Japanese releases as well—there's a lot you could consider to be an extra, not the least of which being some completely different music between versions. +2 Novelty: For better or for worse, MM8 brings lots of new ideas to the table and changes up a lot of the old ones. Voice acting, FMV cutscenes, a variety of permanent and equipable upgrades, a scavenger hunt instead of a grind-fest to collect bolts, a new hero added to the canon, a total overhaul of Rush's abilities, other familiar support characters in completely different roles, a save feature instead of a password system, scads of unique challenges...man, if I only cared about novelty in a Mega Man game, I would love this one. +0 Story: Robots all over the world are going crazy, and...Dr. Light is to blame? It's the ol' bait-and-switch again, but it's fun to see Mega Man, Roll, and Auto operate in the absence of their creator. It's also interesting to see Dr. Wily executing a plan that's genuinely clever (as far as Wily's schemes go, anyhow), and we get some character development—both for the heroes and the villains—as the story progresses. Mega Man's character development is problematic, however (see the Ending section below), and the concept of robot expiration dates raises some important questions that probably won't be addressed again (eg, when is Mega Man's expiration date?). There's a hint of real-world overlap in the story that breaks the immersion factor ever so slightly—a sort of recognition that it's been forever since the last numbered Mega Man game—and it seems just a little too easy for people to be fooled by Wily in this one (though, after MM6, I've started to assume he just rolls 20s on all his Bluff checks). +1 Graphics: MM9 is a deliberate return to the look, sound, and feel of the older Mega Man games, and the graphics successfully capture the simplicity of the early NES era without completely sacrificing the detail and complexity of the later games. Still, some of the visuals are a bit plain or rough around the edges compared with the rest of the series, deliberate or not. +2 Music: I could criticize the soundtrack for leaning too heavily on MM2, borrowing compositional elements or reusing tracks outright, but the imitation and inspiration pay off. As far as I'm concerned, MM9 has some of the best music in the entire Classic series, with many of the tunes—Wily 1 and the final boss battle, for starters—being among my all-time favorites. Relentlessly retro in its devotion to the less-polished sound of the early NES, yet infectiously upbeat, unflappably high-energy, and impressively layered, the music synthesizes everything that's ever made a Mega Man soundtrack great across the entire series. Some people will complain that Tornado Man's theme is too high-pitched for them to handle, but I say that's a small price to pay for my own enjoyment. I am particularly impressed with the Endless Attack theme, which, along with its length (about twice as long as any given stage theme), has an unprecedented level of complexity that makes it possible to listen to it endlessly without being driven insane. +0 Sound Effects: A lot of returning sound effects intermingle with new ones that are fun, but don't quite feel the same. They're certainly distinctive, plentiful, and give the game a lot of character; perhaps it's the tendency toward higher-pitched sounds, or the fact that accurately onomatopoeizing them is fairly difficult, that makes them seem slightly unusual compared to the older sounds. The ringing phone in the intro cutscene quickly overstays its welcome, and Proto Man's charge-up noise goes out of its way to be more obnoxious than the traditional charge-up noise, so those alone are worth a point off. +1 Control: During regular gameplay, everything's simple, and everything works. It's still very possible to mess up on the shop screen and save screen, though the former might be more a matter of having too much dialogue to hurriedly skip through than the controls themselves. +2 Stages: Trusting that, by this point in the series, you probably know a thing or two about how to play Mega Man, MM9 throws some of the most delightfully evil challenges in the entire Classic series at the player. How can I possibly make that jump with all those spikes on the wall!? Why does this boss have three separate segments to fight!? WHO PUT THAT DISAPPEARING BLOCK THERE!? There's a comfortable learning curve, later challenges that build on the earlier ones in a meaningful way, and more than a few outrageous surprises that cleverly—but fairly—test the player's Mega Man mettle. Between Hero Mode, Superhero Mode, Endless Attack Mode, and the Special Stage, the enemies and obstacles all have the wonderful opportunity to live up to their full potential, and there's a huge amount of variety in the challenges, albeit with a greater emphasis on tricky platforming than usual (which is fine by me). I'd still change a few things—to name a few, the Scissascissor enemies in Hornet Man's stage are obnoxious and should be cut (pun intended), Machine Gun Joes fire way too many shots in a row, parts of Tornado Man's stage could use a redesign—but overall, the positives far outweigh the negatives. You earn your victories, and that's something to be treasured. +0 Bosses: For the first time in the series, I can't pick a favorite. I like them all well enough, but I don't have any strong love or hatred of any of them. Well, I suppose I could do without Concrete Man; he's sort of a bully, and though I like the idea of the blended Guts Man / Hard Man aesthetic, he's sort of bland and ugly-colored. The guy who should have been my favorite—Galaxy Man—is more goofy than cool, and hangs out along the ceiling for half the battle when the best weapon to use fires in a downward arc. Pity. The closest I've got to a favorite is Plug Man; I like the complexity of his design, and how well he rocks the electricity theme. Most of the bosses have recognizable patterns, but there's usually that one thing they all do that throws you off, which can make it a chore to fight them without special weapons. Jewel Man is especially clever (he's about tied with Plug Man for almost-favorite); left unattended, he'll simply walk back and forth—it's his direct reactions to your actions that make the battle a challenge. Then you've got Hornet Man and Tornado Man, whose projectiles go above and beyond being just another bullet to dodge. Splash Woman is an intriguing and refreshing addition to the lineup, despite being weaker than her male cohorts, and being yet another fish-woman in the Mega Man series (eg, Leviathan, Lurerre). Rounding out the bunch is Magma Man—the obligatory fire boss—whose design and attack pattern are fine, but strikingly generic; it's the unique architecture of his chamber that makes him at all noteworthy. Overall, though, a good mix of creative and familiar, if not my absolute favorite mix. +2 Special Weapons: Yes, they're largely rehashes of weapons we've seen else where in the series (primarily the X series). Yes, they've got some embarrassingly unfortunate names. I'm willing to let all that slide, because this assortment of weapons is one of the most versatile and powerful in the entire Classic series, if not the most. Plug Ball is an electrified Search Snake variant; Tornado Blow, appropriately, blows away everything on the screen (including many projectiles), and lifts you considerably higher while jumping; Magma Cannon fires a spread shot that can be charged up like Atomic Fire for even more size and damage; Hornet Chaser pelts your enemies with HOMING BEES who are not only fast and accurate, but who also retrieve power-ups for you; Laser Trident penetrates shields and tears through multiple enemies at a clip; Concrete Shot lobs blobs in a downward arc, and solidifies into short-lived platforms that can block laser beams, freeze lava columns, and offer a surprisingly useful alternative to Rush in some locations; Black Hole Bomb is slow, but can be maneuvered into position to create a whirling vortex of death that applies constant damage to foes while dragging them and their projectiles into the center; and Jewel Satellite is an amalgamation of all the best parts of previous shield and barrier weapons—like Leaf Shield, it can fend off an infinite number of smaller enemies without dissipating; like Star Crash, it can be carried around and thrown at will; like Mirror Buster, it deflects shots back at the attacker. Each weapon has at least one or two moments where it really shines, and all of them are practical enough to use virtually anywhere—even with a full arsenal, nothing is truly redundant or fully outclassed by any of the other weapons. +2 Items/Upgrades/Support Utilities: We're back to the grind-for-screws model of shopping, and one-shot items over permanent upgrades. Returning favorites such as the E-Tank, M-Tank, Energy Balancer, and Beat Whistle are joined by a device to summon Flip-Top/Eddie at will, an armor reinforcement that provides one-time protection against spikes, and a boost that'll reduce the damage you take by half in a level. Lots of variety, and all very useful. You can also spend your screws on more gimmicky items: a wardrobe change for Roll (switching between her MM1 and MM8 costumes) and a Book of Hairstyles that allows you to run around without your helmet. Goofy, but fun enough, I guess. Rush Coil and Rush Jet are back yet again, and though they're starting to feel a bit stale, MM9 gives you plenty of opportunities to use them well. Proto Man has his own utilities, which are functionally identical to Rush, but they sport a sleek visual design reminiscent of the Item utilities from MM2. I approve. +2 Ending: Defeated once more, Wily starts his begging for mercy routine...and Mega Man finally calls him out on it. Rush teleports in to present a slideshow of Wily's collected grovelings from days gone by. Fantastic. Shades of MM3 and MM5 here: Wily tricks Mega Man into thinking that the guy locked up in the next room is actually Dr. Light, and not a robot rigged to overload its circuits and take Mega Man with it. Proto Man teleports in as the voice of reason, Mega Man proceeds anyhow, and ZAP! Mega Man ends up getting his robo-bacon saved yet again by Proto Man. I'm not overly enthralled by Mega Man's characterization in the second half of the cutscene, though; over the course of the last three games, he's gone from a betrayed revenge machine to everybody's friend to an assertive hero who turns into a naïve, touchy-feely airhead at the last minute. Somebody make a decision, please; we can't just reprogram his personality with every game. Irregardless, the staff roll that follows completely makes up for it with entertaining stillframes of the rehabilitated robot masters running loose, and an animated parade of every enemy in the game. There's closure, a few character moments, a meaningful connection to the games that came before, and more than enough to keep the ending visually interesting at all times. That's a satisfying ending in my book. +1 Replay Value: MM9 sets a new standard for replay value in the series, yet it's not quite enough to crack that venerated +2 score. The three difficulty modes do a great job of switching up the challenges in each stage, but the bosses are exactly the same, and the basic architecture of the stages never changes. There are hardly any branching paths to speak of; the few that do exist are almost exclusively a choice between a dead-end with a power-up, and the rest of the stage. Racing against the clock in Time Attack gives you something else to do if you're looking to compete with others, but I don't feel like it's a meaningful addition. The Special Stage is great fun, but it's an extension rather than an alteration of the normal gameplay. Proto Man Mode changes things up a bit, but not as drastically as expected—sliding makes a big difference, but the charge shot and Proto Shield are somewhat redundant by the time you've got all the special weapons. it's Proto Man's shortcomings that make certain sections more of a challenge, but it's largely the same game. Then you've got all those Achievements, half of which are just silly filler. Buy everything in the shop? Beat the game three times in one day—and the special modes don't count, so it's a triple dose of Normal difficulty with Mega Man? Pffsh. Endless Attack is the real hero here: randomized level fragments peppered with randomly selected boss fights provide enough replay value on their own, but even the easiest section can become suddenly next-to-impossible when your health and weapon energy start running low; randomization and attrition make for an interesting combination that plays out differently every time. +1 Polish: Everything looks clean and plays smoothly, and there's some obvious attention to detail—notice how the cutscene where Dr. Wily is talking to the soon-to-be-scrapped robot masters is told from the perspective of the last boss you fought...so whoever that is, it's the one boss whose silhouette can't be seen in the crowd he/she is looking at. I will take a point off here, however, for Proto Man's unbalanced benefit-to-drawback ratio (having a charge, slide, and shield don't justify his crippling flaws), and all the other little things I mentioned above that aren't quite big enough to drag down the score there. We'll just assume they're all polish-related shortcomings. +1 Extras/Easter Eggs: Downloadable content in the form of a Special Stage, two extra difficulty modes, a second playable character, and Endless Attack add a lot of meaningful content to the game. Time Attack and scads of Achievements merely add padding to the game, as far as I'm concerned, but they're harmless fluff. One glaring omission is any option for Mega Man to charge and slide, whether as a DLC extra or anything else. The charge and slide had been staples of the series for close to twenty years, and during that time, level design evolved to a level of complexity that demands those extra abilities—and even if you can get by fine without them, it's wicked uncool for your once-standard abilities to only be available from a second playable character who gets massive penalties for possessing them. Partially making up for this are all the clever references throughout the game—Wily's bank account number in the intro is the release date for MM1; Chun-Li from Street Fighter is the television reporter; you can see a schematic for Bass in the background after you defeat the final boss; a couple Endless Attack segments are clear homages to MM1-2; etc. Even the old-style Met from MM1 has returned...disguised as a 1-Up!!! Best enemy in the game, period. +1 Novelty: Everything old is new again! The return to Mega Man's 8-bit roots was one of the game industry's first major attempts at a retro revival, and the refreshing simplicity allows for a renewed focus on the core gameplay, which MM7 and especially MM8 started to lose sight of amidst all the frills and features of developing a game for a more modern system. Unfortunately, the game tries too hard sometimes to emulate MM2—this is especially obvious with the music, which recycles multiple tracks from the game—but otherwise, the locations, challenges, and story are generally quite unique for this series (eg, a physics-based levitating challenge in one Wily stage), or at least they offer some fun twists on the familiar (combining Air Man's view-obstructing clouds with Toad Man's movement-affecting rain). Except for the bubble puzzle in Splash Woman's stage, which is a direct rip-off of Wave Man's stage...and easier, at that. For shame. -2 Story: Robots everywhere start coming down with Roboenza, a virus that causes them to malfunction and eventually turn violent. Dr. Wily pretends to be trying to help, but of course he's revealed to be the mastermind of the whole situation. That's fine. The problem is the amount of fluff text that could be trimmed out with no impact on the story (the intro cutscene drags, compared with other games), and that there is an appalling lack of logic, consistency, and follow-through in the storytelling. In the intro, Wily claims one of the robots stole his medicine-making machine; later, Dr. Light talks about recovering all the PIECES of the machine...at what point did this thieving robot smash up the machine and distribute the parts to his friends? In the intro, Proto Man volunteers his services to Mega Man, but he does ABSOLUTELY NOTHING if you play as Mega Man. Bass catches Roboenza and is saved by some medicine from Treble—but where did Treble come up with the medicine, and why is Bass even bothering with this quest in the first place!? And let's not even talk about how Bass' dialogue sounds like pansy Mega Man pretending to be a tough guy. +1 Graphics: The visuals are as detailed as they've ever been (at least, in the 8-bit style)...except for the main character models. Regular enemies and fortress bosses look fine, but Bass looks like a total dork (pansy Mega Man wearing a Bass costume for Halloween), and the robot masters don't do their official artwork justice, not to mention looking a bit "off" compared with their predecessors—Nitro Man and Blade Man have particularly strange shapes, and there's a strikingly low number of bosses with normal-looking faces and anatomically distinct heads. On the plus side, the stages have a good amount of animation, with waterfalls and sandstorms and dimly glowing backgrounds, though there's a fair amount of repetition in the foreground objects and background designs. -1 Music: I've been unimpressed with Mega Man soundtracks before, but I don't think I've ever been so disappointed. I'm willing to chalk it up partially to high expectations from MM9, but it's only because of some excellent remixes that I've come to warm up to MM10's soundtrack at all. One of the main problems is that the music is heavily melody-driven—strip away the melodies, and you're left with weak harmonies and an anemic percussion line that generally lack the punch I've come to expect from the series. Beyond that, I'm not keen on most of the melodies to begin with: previous entries in the series have music that builds to a melodic climax, often heightening the energy by going higher and higher on the musical scale; MM10's music frequently starts building toward a climax and fizzles, dropping lower and lower on the scale, or just hops back and forth and never goes anywhere at all. Draining the energy a tad more from the soundtrack is the tempo—much of the music seems a hair too slow. On a technical level, the music is all very polished and complex, but it lacks the heart that drives the other soundtracks in the series. A few of the Wily themes are good, the battle themes are good, the stage select theme is good, and the Special Stage remixes are good (but then again, the source material is good)—heck, a couple of these are incredibly catchy and downright great—still, that's not enough to compensate for the other 30-something tracks that feel like they're missing something. +1 Sound Effects: One of the few improvements over MM9, the sound effects here feel much more in line with the NES games. New and old sounds are plentiful and intermingle comfortably, though nothing stands out as particularly entertaining. Things make noise, and they sound just fine. +1 Control: Mega Man and Proto Man control the same as in MM9; Bass handles surprisingly well, and dashing in this game is easy and responsive. I'd recommend using a Classic Controller over a Wii Remote; I occasionally found myself accidentally brushing the weapon-switching button when using the latter. The shop screen fixes all the problems found in MM7 and MM9—buttons are clearly labeled, and you don't have to skip through so much dialogue because there's a separate button to read the item descriptions. On the flip side, navigating between the weapon and item pages on the inventory screen is obnoxious, especially when your weapon list is incomplete (it brings back memories of MM3). -2 Stages: We've already established that I am not a patient gamer. Waiting for endless sandstorms to pass, waiting far longer than normal for the slime-throwing Metalls to lift up their helmets, waiting for a seesaw platform to reach the end of the track after endlessly hopping back and forth, waiting for an arc of fireballs to get out of my way, waiting for Sola 0 enemies to stop charging so I can hit them, waiting for crushing pistons to come down before I can proceed, waiting until I've run on a treadmill long enough to charge up a platform or an Octobulb miniboss, waiting after every few steps to safely navigate through needlessly long sections of Moles coming out of the woodwork, waiting for exploding enemies to pop out of every single hole (and that's all before getting to the bosses—waiting for the Block Devil to reassemble itself so I can shoot it again, waiting for Crab Puncher to let down its defenses so I can shoot it again, waiting to be unfrozen from Chill Man and Commando Man's attacks, waiting for Sheep Man to come down from the ceiling so I can hit him, waiting for Pump Man to fire his shield so I can hit him, waiting for Solar Man to stop holding his shot-absorbing head toward me so I can hit him...). There are plenty of creative ideas that look great on paper, but very few of them break through the tedium to be legitimately fun. Even the sections that aren't spent waiting for something to happen are characterized by irritating enemy placement (eg, the Mecha Pitchans in Strike Man's stage), demanding challenges with an unforgiving learning curve (eg, anywhere in Pump Man's stage with pits or spikes), and gimmicks that drag on far too long and make up most of the challenge in a stage (eg, dodging cars in Nitro Man's stage; the elevator rides in Wily 3). The regular game is frustrating enough; Endless Attack is nearly intolerable with this kind of challenge design, and Hard Mode sacrifices any kind of fair challenge for abject cruelty. Playing as Proto Man is just as unnecessarily difficult as in MM9, and Mega Man simply isn't equipped to handle everything the game throws at him. Playing as Bass is a completely different experience; he's got the maneuverability and versatility that Mega Man lacks, but without Proto Man's show-stopping drawbacks, so I honestly enjoy the game as Bass. Still, the few other pinpoints of light in this game—all of Wily 1, some clever minibosses, the standalone Challenge levels, and a handful of individual moments throughout the stages—do not make up for the exasperating, sometimes rage-inducing challenges of the rest of the game. -1 Bosses: With the right special weapons, most of the Robot Masters are a decent enough fight, but neither fairness nor fun factors into the equation without them. Sheep Man could've been an amusing "joke" boss—or even a deceptively tough boss—but instead he's a tedious exercise in spending most of the battle waiting for an opportunity to land one, maybe two hits before he goes back to playing "Guess which cloud is gonna zap you next" as you wait helplessly below. Blade Man looks like a banana, and cracking his pattern is an exhaustingly precise and continuous jaunt back and forth across the room. Nitro Man is Wheel Gator in Turbo Man's body, which might be fine if you had the maneuverability to slide or wall kick out of harm's way instead of being punted around every time Nitro Man does anything. Solar Man's unusual projectile patterns and ability to absorb your shots make it a liability to fight any way but defensively, getting in the occasional conservative potshot after long stretches of doing nothing but dancing around fireballs. Commando Man's missiles deflect your shots, and he'll knock you on your keister when he hits the ground (which he does often, but not often enough as Guts Man to get into a comfortable groove with it)—again, another battle where you're deprived of opportunities to hit the boss. Just like Pump Man: technically, it's possible to penetrate his shield if you fire fast enough, but there's still that limited window of being able to damage him before he's protected again—and though Thunder Wool penetrates his shield, waiting for it to get into position is just as bad. Chill Man comes close to being likable; visually, he's one of the neatest ice-themed bosses (though his sprite loses some of the interesting detail of his official artwork, like all the other bosses), but freezing you in place is ANOTHER example of how this game insists on slowing you down at every turn. Against all odds, the sports boss is my favorite, and the only one I actually like—Strike Man has a reasonable pattern that requires neither constant patience nor constant movement, and he divides his time about evenly between periods of invulnerability and periods where you can let loose and wail on him. Also, the Mega Man pantheon is starting to get a little full of electricity and ice bosses, and we seriously don't need any more fire bosses...and after MM9's daring precedent, where the heck is my Woman? The fortress bosses are definitely a cut above the Robot Masters, looking considerably less weird and possessing a better range of attack patterns. Weapons Archive is positively brilliant, being both a solid challenge and a well-thought-out nostalgia kick (right down to the weapon vulnerabilities). Crab Puncher is a satisfyingly complex fight, but trying to dodge AND land a decent hit can get exhausting. Block Devil is a smart evolution of the Devil concept, but like so much of the game, a large portion of the fight is spent waiting for an opportunity to strike. Wily Machine has a lot of tricks up its...uh...mouth? and is pleasantly frantic. Wily Capsule FINALLY puts a new twist on a tired concept, but my color blindness makes it very difficult to tell at a glance which Wily is which. Under normal circumstances, these fortress bosses would balance out an undesirable cast of Robot Masters, but I really despise these Robot Masters. -2 Special Weapons: In a departure from previous games, all the main weapons in MM10 have both a primary and secondary mode of fire, with the latter typically being harder to aim but more rewarding in terms of damage output. That in itself isn't problematic; in fact, it has the potential to add an interesting level of complexity to special weapon use. The trouble is that most weapons' secondary mode of fire requires an absurd level of precision to be at all effective—and when half the weapons do virtually no damage with their primary mode of fire, it's a requirement, not a bonus, to pull off miracles with the secondary fire in order to hit anything. Chill Spike lobs blobs of icy goo that freeze enemies in place à la Ice Slasher...but in order to damage an enemy with a patch of spiky ice, you need to miss the target and hope your foe runs over it—and because you can only fire one shot at a time, there's no room for error. Commando Bomb can be redirected in midair and destroys certain walls, which is neat, but doing any real damage requires you again to miss the target and get them caught in the blast radius. Rebound Striker is almost useless unless you bounce it off a solid surface to hit your target, and with the wide-open spaces that dominate the level design, the average player will only have any luck with this if the enemy is standing in place. Thunder Wool is atrociously worthless and falls short of its wonderful potential—one or two pathetically weak clouds glide leisurely to the top of the screen, where, instead of unleashing an ELECTRIC CURTAIN OF DESTRUCTION, they fire off a continuous lightning bolt that only does damage the moment it connects with an enemy, and not for THE WHOLE TIME AN ENEMY IS STANDING OVER THE CONTINUOUS LIGHTNING BOLT. Water Shield provides decent protection against projectiles and smaller enemies, but forming the shield is a slow process that leaves your front and your head—the two spots most likely to receive damage—unprotected until the very end...so it's not much use as a defensive weapon, especially when a single hit can chew through half the shield, and it's not much good offensively when you've only got partial coverage and can't hit anything farther than two feet away with the spiraling secondary fire. Solar Blaze can pass through shields, has a wide area of effect, and does a fair amount of damage, so it's only the weirdly short range with the primary fire and that awkward delay until the secondary fire is triggered that makes the weapon a little cumbersome. Wheel Cutter also is weirdly short-range at first, though it's not bad when it picks up speed...and quickly scaling walls with the (also close-range) secondary fire is a legitimate hoot. Triple Blade changes its angle of attack depending on whether you're on the ground or in the air, and that's it—you can effortlessly hit most targets both near and far, and do great damage to them. Amazing. The bonus weapons—Mirror Buster, Screw Attack, and Ballade Cracker—are pulled from Mega Man games with weapons that actually work, yet they're not quite enough to make up for the rest of the weapons. Plus, Proto Man has little need for Mirror Buster, and Bass has little need for Ballade Cracker. Most of the special weapons in this game require too much special attention, drawing the focus away from the core gameplay; and the overabundance of close-range and slow-to-activate weapons leaves some serious gaps in the hero's defenses. +2 Items/Upgrades/Support Utilities: For the most part, everything's identical to what you have in MM9, and that's a good thing. Actually, I'm now bored to tears with Rush Coil and Rush Jet, so it's not entirely a good thing, but Treble Boost makes up for it: free-range flight with a triple spread shot is incredibly helpful and great fun, even with its (completely reasonable) rapid energy consumption. Roll's superfluous costume change has been replaced by W-Tanks, which have been nerfed so that they only refill one weapon of your choosing, rather than all of them. I'm not a fan of the change, but it's not unfair. The only significant problem is that the shop is configured differently for Proto Man, putting him at even more of a disadvantage than before: all the items are more expensive for him, and there are fewer to choose from. Let's throw more salt in the wound, guys. I'll cut MM10 some slack and say that's more of a balance issue than an items issue, but I'm still not happy about it. -2 Ending: The ending is a mess. Wily's capsule explodes, exposing him to what appears to be the harsh vacuum of space. The first time I beat the game, I assumed Wily's face was turning red because he CAN'T BREATHE IN SPACE, not because he'd come down with the flu. Mega Man brings Wily to a hospital; Proto Man says he should just leave him there in space; and Bass just leaves...yet the same hospital breakout "cutscene" (which doesn't even have pictures for the first half, just lazy white text on black background) is the same for all three characters. This makes NO SENSE, especially for Bass. At what point did anybody other than Mega Man bring him to the hospital? Why would Wily suddenly become so kindhearted (especially after being described by Duo in MM8 as a being of pure evil) and leave all that medicine behind? Especially if you're playing as Proto Man or Bass, who—as far as we know—abandoned him in space. Y'know, the story for MM5 consisted of four short cutscenes, seven sentences, and a "Ha, ha, ha"; I'd go back to that kind of storytelling in a heartbeat. When the credits roll, you get the obligatory robot master spotlight they've done in almost every game, and then we watch a Windows screensaver until a shooting star flashes over the earth. I appreciate that we're flying into the stars this time, instead of having them flatly scroll past like they do in MM2 (which I don't mind, but that's been done in numerous games now); MM8-9 set the bar higher than that, though. +2 Replay Value: Three unique playable characters, three significantly different difficulty modes, three special stages, 12 meaningful achievements (take note, MM9), 88 standalone level/boss challenges, Endless Attack, Time Attack, branching paths both big and small in basically every level, and Robot Masters who are all equally unpleasant to fight, regardless of sequence? That's some serious replay value. +2 Polish: Clean and informative menu screens, polished NES-style graphics, excellent sound quality, and little touches such as quick weapon switching and the ability to save and access the shop between Wily stages make for an excellent presentation of some of my least-favorite content in the series. 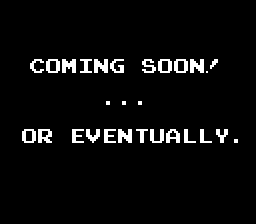 +2 Extras/Easter Eggs: MM10 goes all out with the extras, cramming the basic game full of different gameplay and difficulty modes. The DLC is impressive—Bass Mode, Endless Attack, and the Special Stages (along with the new weapons they bring) all add something worthwhile to the experience. 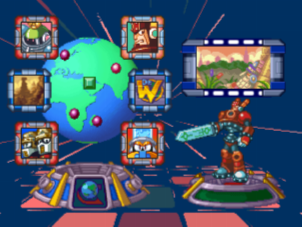 Perhaps best of all, there are tributes and references galore to previous Mega Man games: Challenge levels using the flashing block background from the Copy Mega Man fight in MM1; the appearance of Reggae, one of the series' more obscure characters, as the shopkeeper in Bass Mode; every aspect of the thoroughly clever Weapon Archive boss fight; Endless Attack screens modeled after stages from MM1, 2, 4, 5, 6, and 9; and some familiar-looking buildings in the cutscene backgrounds; to name those that immediately come to mind. +1 Novelty: In some ways, MM10 is merely an encore of MM9—same controls, same shop, same basic abilities, same Rush utilities, same kinds of extras, same "we swear Wily's not the bad guy" kind of plot—but in other ways, it's drastically different: the new primary/secondary fire shtick with the special weapons; some completely unique cutscenes depending on which character you're using; the emphasis on dynamic environmental challenges to supplement static level hazards and endless enemies. It's also unique to have this much replay value and so many references to other Mega Man games, especially so many lesser-known ones. +1 Story: In need of a new plan for taking over the world, Dr. Wily captures an octet of peaceful robots to use as test subjects for his Double Gear system, an experimental technology dating back to his university days. Ostensibly, this is yet another excuse to go blow up robots, but a lot of backstory and character development come with it. We see a glimpse of Wily and Light in their younger years and gain some insight into their ongoing rivalry (and I appreciate that the research committee is more diverse than we're used to seeing in the Classic series); we get a taste of what it's like at Light's lab when the fate of the world isn't at stake; we even get a feel for the personalities of the various Robot Masters (though I wish the first lab cutscene had divided the Robot Master dialogue across more of the group, rather than letting Block Man hog the spotlight). I normally complain when too much time is devoted to cutscenes, but the pacing here is better than average, and the voice acting helps keep things interesting—except in one or two cutscenes where there's a conspicuous pause between lines of dialogue, which makes it feel less like a conversation with text captions and more like actors reading off lines of text as they appear. Another complaint is that Dr. Light spends an entire cutscene summarizing the intro cutscene for Mega Man, which is a waste of the player's time. Otherwise, aside from a couple nitpicks I won't bother going into (for once), the story is satisfying. There's the right balance of fluff and heft to the narrative; astoundingly, the Double Gear concept informs the gameplay as much as the story (take that, Evil Energy! ); and Mega Man finally feels like he's settled into a personality that isn't going to change radically in the next installment (see: MM7, MM8, MM9). +2 Graphics: Cutting-edge graphics have always been a defining feature of the Mega Man franchise. I can understand why MM9 aggressively returned the series to its NES roots, but I've always felt it was a mistake for MM10 to retain that NES aesthetic instead of evolving to at least an SNES style. MM11 is a triumphant return to the cutting edge, exemplifying how to apply 3D graphics to 2D gameplay. Environments feel vast and lived-in, as though these are real locations that just happen to be full of deadly hazards (with the exception of Bounce Man's stage, which feels unabashedly like a video game level). Character models are cartoonishly stylized but highly detailed and animated smoothly, with a wide range of enemies and bosses that strike the right balance between serious and lighthearted, cool and cute. From weapons to envrionmental effects, the special effects are eye-catching. I have a definite soft spot for retro graphics, but this might just be the best the series has ever looked. +0 Music: The soundtrack is every bit as energetic as we've come to expect for a Mega Man game, but it's considerably more backgroundy than usual. This is due in large part to an unusual amount of repetition within any given track—listen to the beginning sections of the title theme, menu theme, and Block Man's theme, for example. Practically every tune has a section where the same few measures are repeated back to back—at worst, with no variation whatsoever; at best, with a key change or added background instrument. The instrument set doesn't always help; although everything sounds appropriately futuristic and robot-y, too much of the soundtrack relies on buzzy synth horns, which all start to sound alike after a while. Also, after four consecutive games with a different tune for each fortress stage, it's disappointing that we only get one fortress theme—and I strongly feel that Fuse Man's superb stage theme should've been used in the fortress instead. The music isn't bad by any means, but it doesn't stand out the way other Mega Man soundtracks do. +1 Sound Effects: In terms of gameplay, everything sounds great. Sound effects clearly convey what they're supposed to convey, and the charge shot noise is the least obtrusive it's ever been. A few sound effects are especially fun and memorable—Bounce Ball is a personal favorite. The voice acting is solid and professional, enhancing the narrative (rather than making it hard to take the narrative seriously, or feeling like a strictly perfunctory feature, as has often been the case for this series). The Robot Master voices are a high point; they walk a fine line between "full of personality" and "outright silly," and it's perfect. Bounce Man is easily my favorite; I know some people are creeped out by his soft-spoken, feminine voice, but it makes me laugh every time. What does creep me out is the echo effect applied to the boss death quips; a few of the bosses sound like they're coming back to haunt your nightmares, and that takes away from the joy of defeating them. Also, I'm not totally sold on the voices for Mega Man and Dr. Wily; the performances are good, but I keep wanting the characters to sound like more they do in the Ruby-Spears cartoon show. -2 Control: I can only speak about the Steam version, but I've never had so much trouble getting set up to play a Mega Man game. On the one hand, the controls are customizable, which should be a point in the game's favor. On the other hand, I went through three different controllers before giving up and using the keyboard. Egregiously, the pause button cannot be customized, which makes the game infuriating to play on the keyboard (seriously, I have to press R?) and impossible to play with certain controllers (such as my SNES-style controller, which recognized every input except pause). Moreover, the buttons to instantly summon Rush—which I think are a brilliant option to have—are required to be mapped. This presents a problem if you're using a controller with fewer than 9 mappable buttons (eg, the aforementioned SNES-style controller), or a controller where the buttons are so close together that you keep summoning Rush by mistake (eg, the controller my wife bought specifically so I could play this game). The game didn't even recognize my PlayStation-style controller, which has served me well for the last decade or so. Navigating the menus is harder than it should be, because the confirm and cancel options are associated with different buttons than usual. As for regular gameplay...the controls are actually pretty good, though not good enough to make up for all the problems. Mega Man's jumping physics require a little bit of adjustment, but otherwise, everything is very responsive and fluid. I find myself occasionally confusing Previous/Next Weapon with one of the Double Gear options, but I'll chalk that up to my less-than-ideal control setup. +1 Stages: Tough yet fair, creative yet familiar, varied yet repetitive—these are the stages of MM11. For the most part, the challenges are thoughtfully designed, allowing for multiple approaches and giving every weapon and ability multiple chances to shine. Checkpoints and power-ups are placed well; and instant death is used sparingly, or at least in a way that allows for an acceptable margin of error. Almost every stage strikes a good balance between gimmicks and standard platforming, and between nostalgia and originality. We've seen chase sequences and electricity hazards and destructible terrain before, but there are new twists and some clever interplay with the enemies and architecture that keep things fresh. We've seen a lot of these enemies as well (Gabyoall, Batton, Wall Blaster, Lyric, Tatepakkan, Propeller Eye, etc. ), but they're often used in new and different ways, and they're supplemented by a host of interesting new foes (Eye Ice, Crunch Don, and Anti-Eddie being a few of my favorites). I also appreciate that, for the first time, every stage has a midboss—though I only like about half of them. Happily, there's very little to complain about, but the complaints I do have are not insignificant. Most stages feel like they go on longer than necessary; I'm perpetually surprised to go through a boss gate and discover that there's more stage to play. There are also a few rough spots that I'm surprised made it through playtesting, like the one jump near an E-Tank in Bounce Man's stage that requires irrational precision to clear. Bounce Man's stage as a whole doesn't feel entirely Mega Man, either; normally, death or damage is the price for failure, but here the level just wastes your time if you mess up, forcing you to constantly backtrack if you haven't mastered the finicky physics. The first fortress stage is pleasantly intense, but the rest are a letdown—the second stage reminds me of why I created OH JOES! (A Proto Man Adventure), the third stage is just boss rematches (without even a proper end boss), the fourth stage offers no real challenge until the boss...and then the game is over. I'm also a little disappointed that both Tundra Man's wind gimmick and Acid Man's rushing water gimmick are effectively the same challenge, despite the slippery floors in one stage and low gravity in the other stage maintaining some semblance of difference.